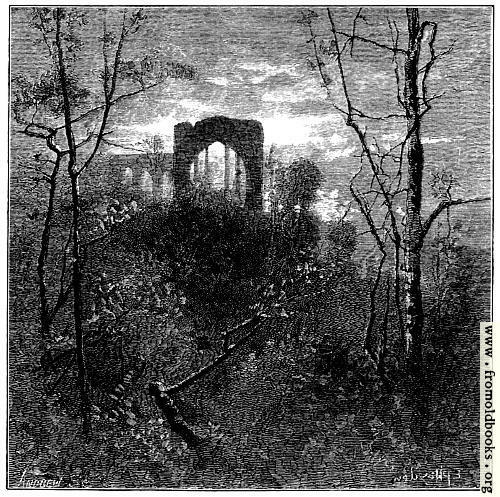 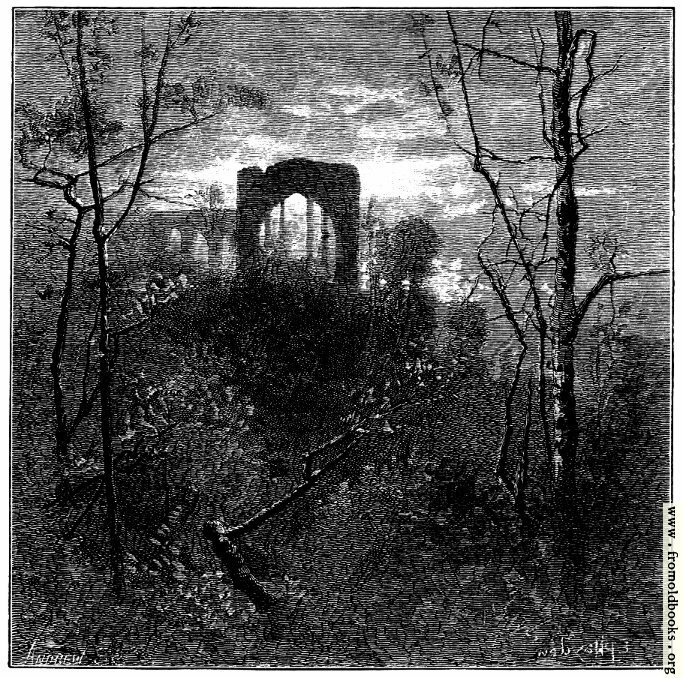 Between trees and over thick undergrowth we see the ruins of an ancient stone abbey, with the sunset shining through the mullioned windows. The sun sent a stream of wild light up the pine. 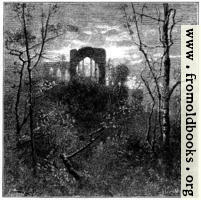 The old ruin’d abbey rose roofless and black.